Tell me a bit about the event: Featuring Mediterranean architecture and Old World Charm in the heart of Houston, Texas, The Gallery is a destination all of its own. The venue features Saltillo tile, warm wood tones, and abounding garden ivy, all inspiration for the design of this shoot to be rich in color and texture with a subtle Spanish flair. 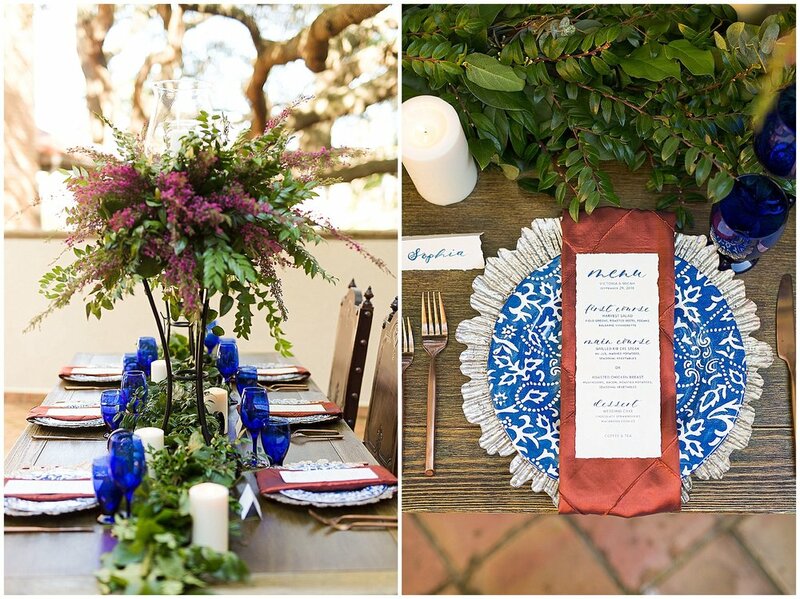 A neutral palette was punctuated with distinctive Mediterranean cobalt blue in the glassware, dinner plates, and talavera-inspired invitation suite on textured paper. On the table, iron candelabras adorned with fuchsia boronia heather and greenery mimicked the ornate wrought iron gates seen throughout the grounds. 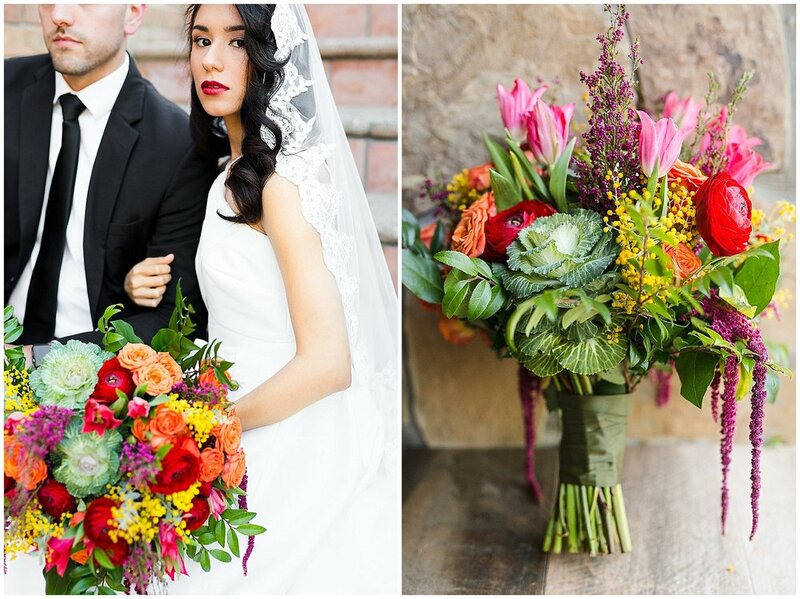 Warm sunset hues of crimson, orange sorbet, yellow, and soft pink were woven into the bride's bouquet and floral garnishes of the buttercream cake. 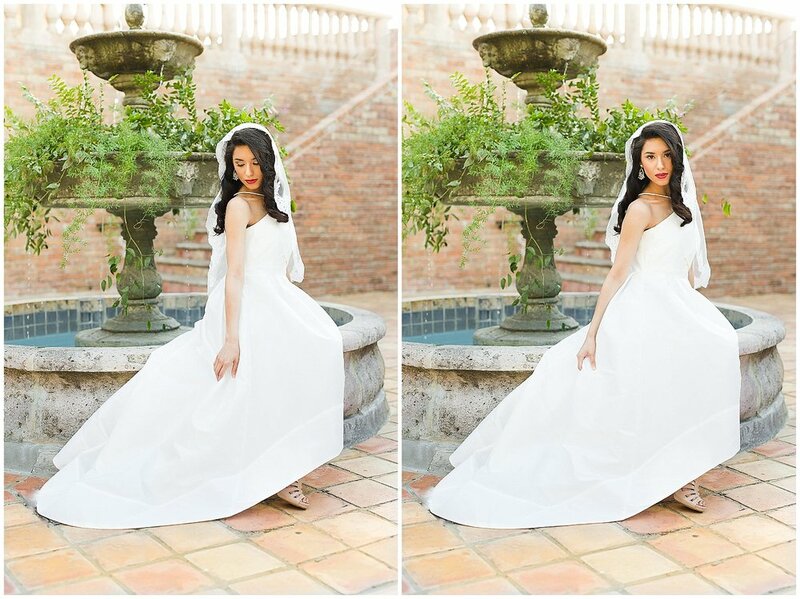 A tranquil fountain at the center of the open-air terrance served as an elegant setting for graceful bridal portraits. 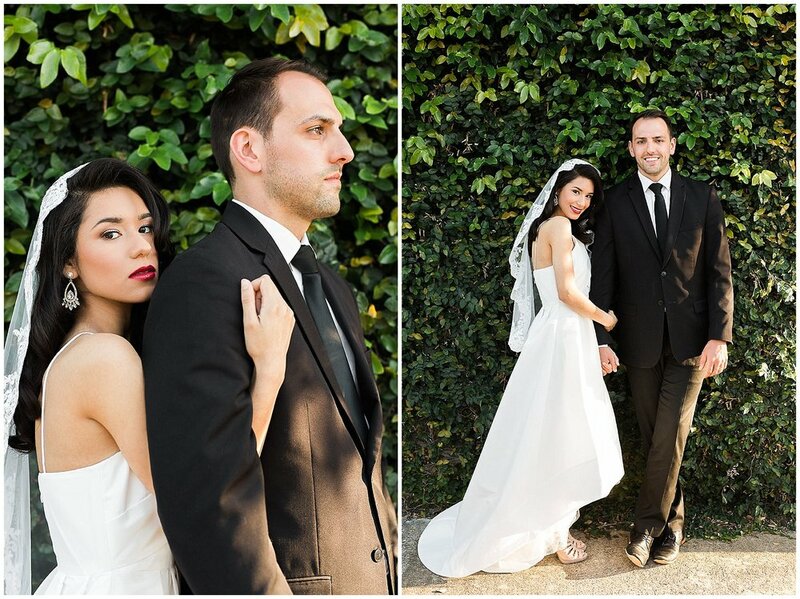 The charming white dress with a modern high-low silhouette paired perfectly with the bride's traditional Spanish mantilla veil. 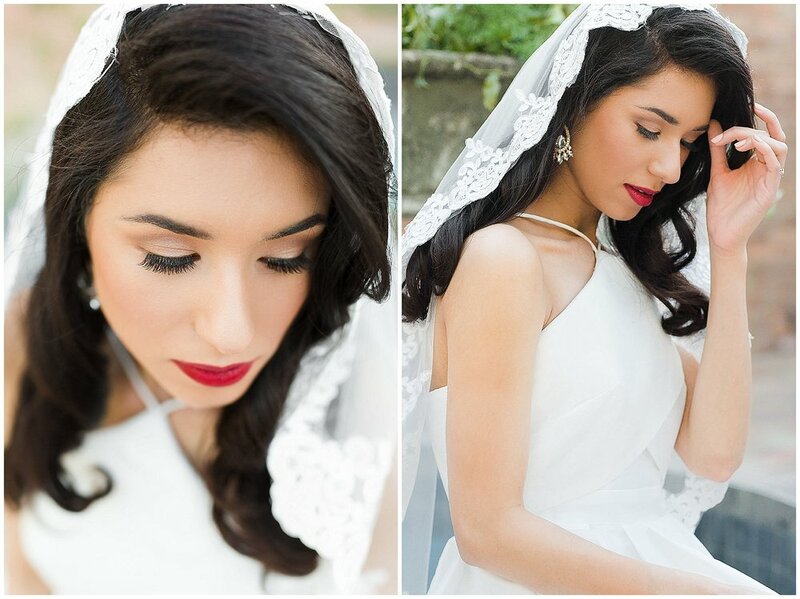 Glowing skin, a bold red lip, and cascading curls enhanced her natural beauty creating a clean, and classic look.